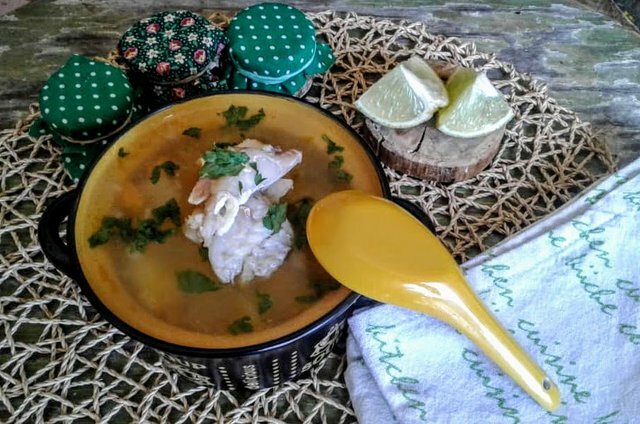 SteemKitchen Contest #1 -Cheap & Cheerful Dead Riser Fish Soup. Hello steemchefs. The weekend has ended but it is the perfect day to present my participation in the contest conducted by @steemkitchen sponsored by @adsactly. Excellent, right? 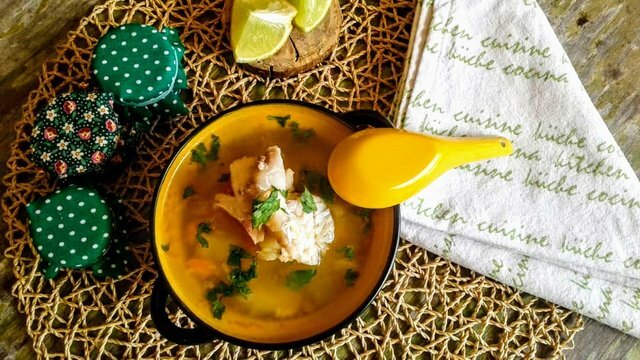 Cheap & Cheerful Dead Riser Fish Soup. I live in Venezuela. A country with the best beaches in Latin America. On our coasts, fish is one of the main foods. I must mention that I was born in a town, in a coastal state of my country, called San Juan de los Cayos. Stop living there a long time ago, but I keep my roots. 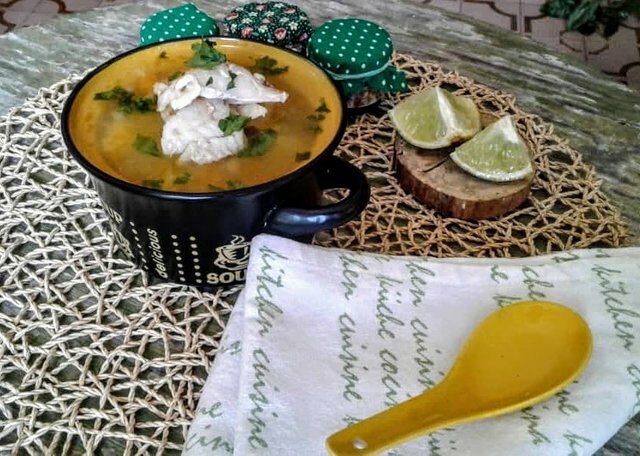 The recipe that I present to you is a delicious fish soup "San Juanero" style. Ideal to beat the weekend hangover. 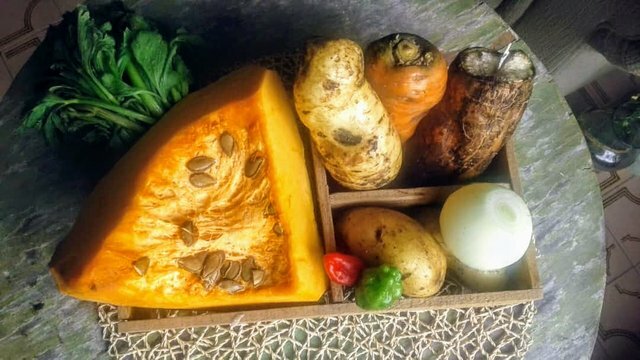 pumpkin, yucca, potato, carrot, celery, onion, Sweet pepper and arracacha(is the yellow one between pumpkin and carrot) Also know like celery root. Funny fat: while I was making the list of ingredients I noticed that I didn't know what was called one of the ingredients in English. in venezuela we know him as "apio" but that means: "celery" I did a search on the internet and found that the name in my country would be "celery criollo" but the real name is arracacha or virraca. native to the Andes and currently cultivated in Costa Rica, Colombia, Brazil, Peru, Venezuela and Ecuador. Also you gonna need salt and 3 cloves of garlic and of course, water. As you noticed, I've already chopped the vegetables in squares. For the photo, forget to put the chopped onion, but that must also be chopped. As you will notice, most of the meat is missing. This is because I had previously prepared fish fillet. With the rest, keep it in the fridge to use in the soup. 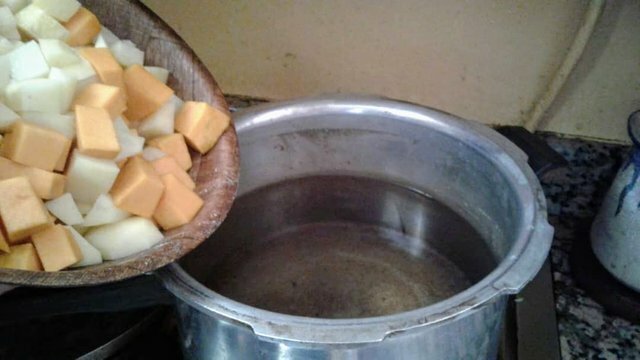 That's why this soup is so cheap to make. Soon I will give you information about the prices and you will be impressed. How cheap is this dish? You came to the part you wanted to know. Soup is the food of wars, as I usually call it. Basically because you can make soup with whatever you have available and that's what I did. Using the ingredients I had, fortunately, are what I needed for this specific recipe. The amount of vegetables you need is 1kg easy, right? It depends on you what amount of vegetable to put ... I divided the amount into approximately 200 grams per vegetable. 3 cloves of garlic, 2 sweet peppers and salt. In Venezuela we are going through an economic crisis that has prices for heights, paradoxically food still have a very low value with respect to international prices. Our local currency is the sovereign Bolívar (Bs.s). 1 Steem = 155.5Bs.s at the moment of creating this post. 1kg vegetables: 58Bs.s per kilo value in Steem: 0.38. Fact: And if you consider that the fish were used to prepare another recipe before making this soup. 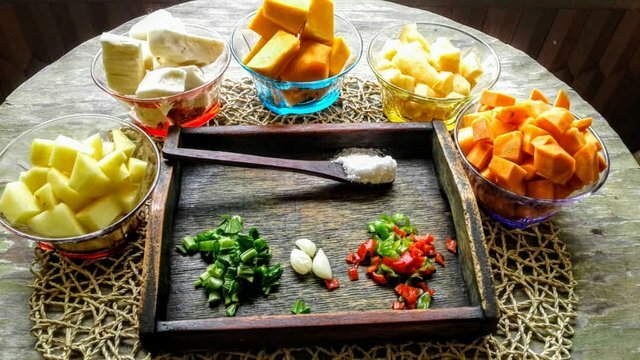 It is very cheap to cook in Venezuela. If we compare it with other countries. But the situation in the interior of the country is different. Since a person with average employment has a monthly salary at the Steem value of: 12.86 based on the value of Steem today. In approximately 2 liters of water, incorporate all the chopped vegetables. Cover and let cook until soft. I had not mentioned it before, but you also need a cloth to sift the fish because we do not want the soup to have thorns. 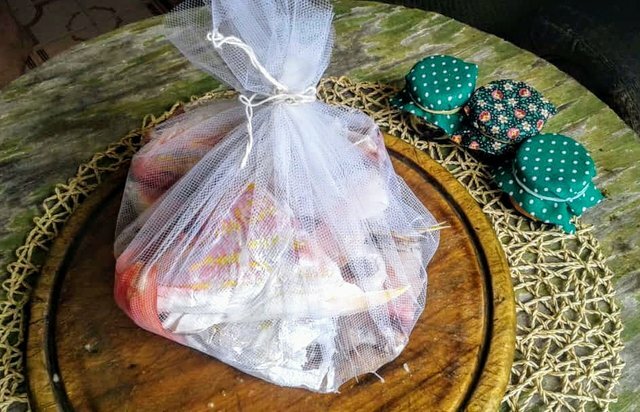 before the vegetables reach full cooking incorporate the bag with the fish. Cover again and let cook for approximately 15min. 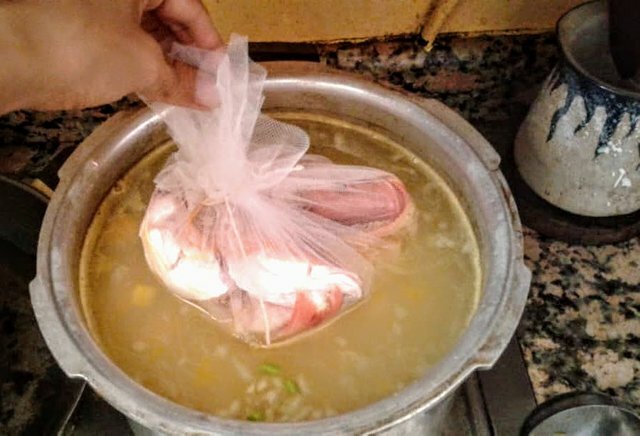 the time it will take you to prepare the whole recipe is about 45min. Peel and chop all the vegetables takes about 20min. and the time for cooking the soup is 35min. That means that the fish is incorporated 10min after adding the vegetables in the pot. What happens is that here, we say "Levanta muertos." in english is "dead riser" dead? Well you know when you go out party and you have a hangover. This soup helps you get up. then how are you dead by the hangover. the soup is called Dead riser. I hope you liked my recipe. I invite you to try it some day in your home. Now I Know how to cook a fish without worrying that I might include to eat those tiny bones! Love the “dead riser” fun facts. 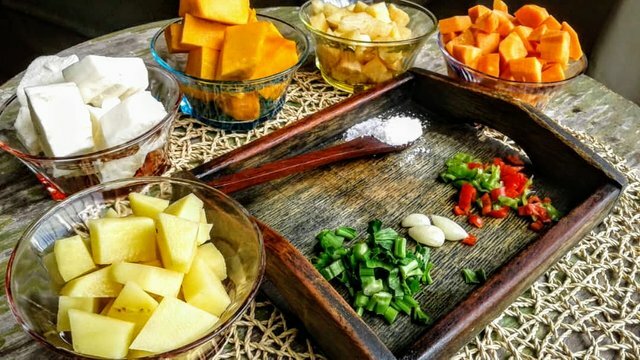 Excellent photos and here in South Africa I have also made soup similar to this......not all the same vegetables as you used but definitely celery! Is the competition over now? Congratulations! This post has been upvoted from the communal account, @minnowsupport, by wisejg from the Minnow Support Project. It's a witness project run by aggroed, ausbitbank, teamsteem, someguy123, neoxian, followbtcnews, and netuoso. The goal is to help Steemit grow by supporting Minnows. Please find us at the Peace, Abundance, and Liberty Network (PALnet) Discord Channel. It's a completely public and open space to all members of the Steemit community who voluntarily choose to be there. Well done! The photos are fantastic! 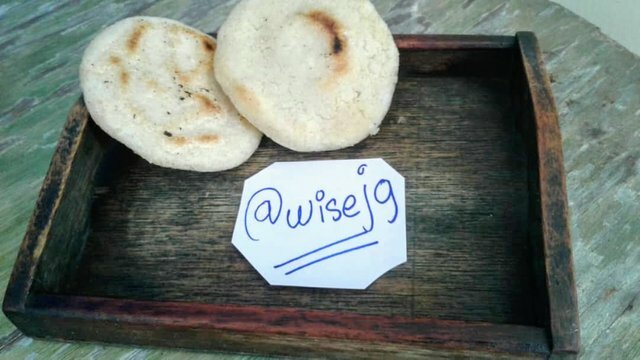 Here in Panama we make breads similar to arepas called johnny cakes. 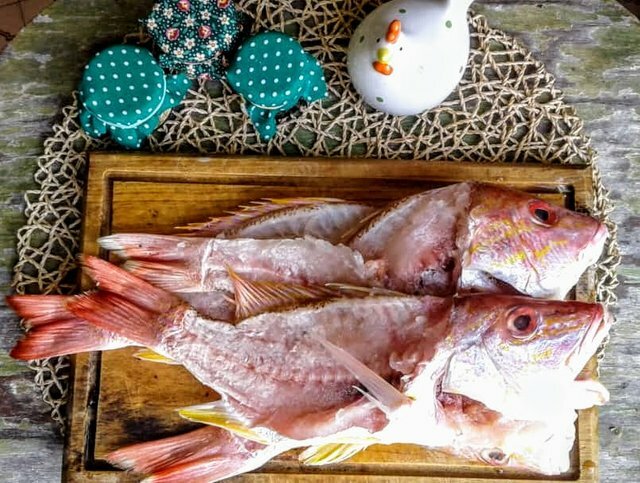 We also enjoy fish soups and have red snapper out in our bay!